Dancing with the Stars – Season 14, Episode 6 – In Rock Week the remaining ten couples dance the Tango or the Paso Doble to some of the greatest Rock Songs of all time. The Troupe Dancers dance to "Rock and Roll All Nite" performed live by Kiss. 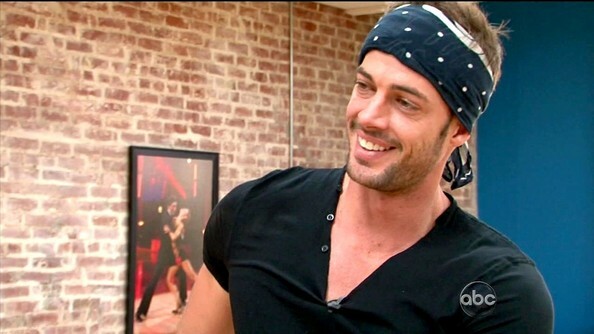 William Levy looked every part the rocker in this navy bandana.